Thank you for your interest in planning your next occasion here at McGirk’s Irish Pub. We provide off-site catering and bar services for your private event. 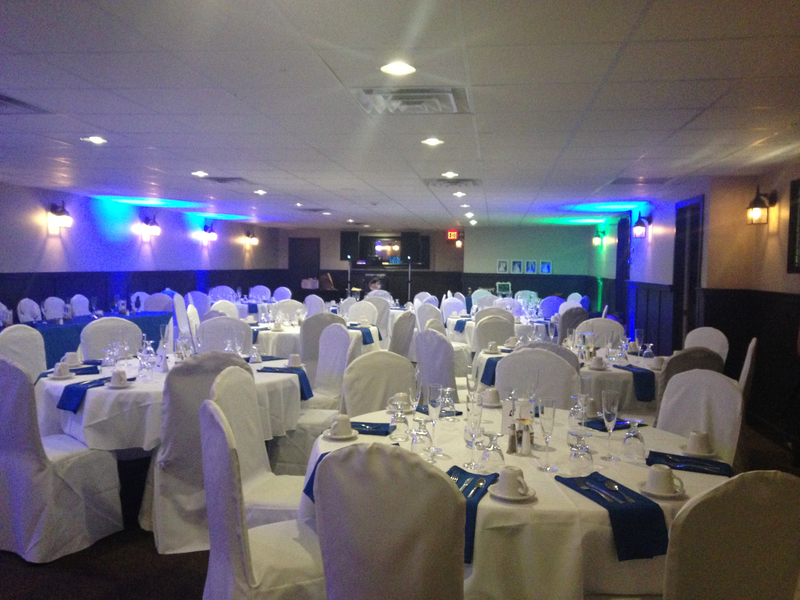 We have the Blarney Room at McGirk’s for any occasion of 30-100 people. We are also one of the exclusive caterers and bar service providers for The Orchard at Chenango Commons, the newest and most astounding outdoor event venue in the area. Minimum of 30 people to reserve the Blarney Room. A $100.00 deposit is required to reserve the Blarney Room. The deposit is applied on the day of the function. The deposit is not refunded if the function is cancelled. Menu selections must be made at least two weeks prior to the date of the function. A specific attendance number is required at least one (1) week prior to the function. A five percent (5%) leeway below the guaranteed attendance number will be allowed on the day of the function. Payment is due in full on the day of the function by cash or local check, certified check, or bank draft. Credit Cards will incur an additional 4.5% of the total. There will be an extra charge for any special room arrangements, ie: Audio Visual, Microphone, etc. No tape or tacks on walls. Evidence of confetti, glitter, playdough and/or any similar items, damage to walls, carpet or furniture occurs, a $200 cleaning fee will be applied to your bill. Parties will be responsible for any equipment damaged or missing. Any damage or missing items will then be added to your final bill. All prices are: subject to change, an 8% New York State Sales Tax and 20% Gratuity.